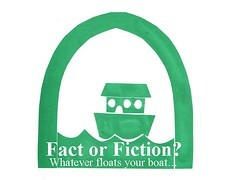 Oh, for the love of God, please let the answer to today’s “Fact or Fiction” be the latter. The ADA prohibits an employer from discriminating against an a qualified individual (i.e., a disabled individual who can perform the essential functions of her job with or without a reasonable accommodation). However, if you are not disabled, you’re not covered under the ADA. Therefore, an individual who gets all bent out of shape because her employer shows compassion toward employees with disabilities (or employees who have children with disabilities), has no claim under the ADA. The answer to today’s question is fiction.